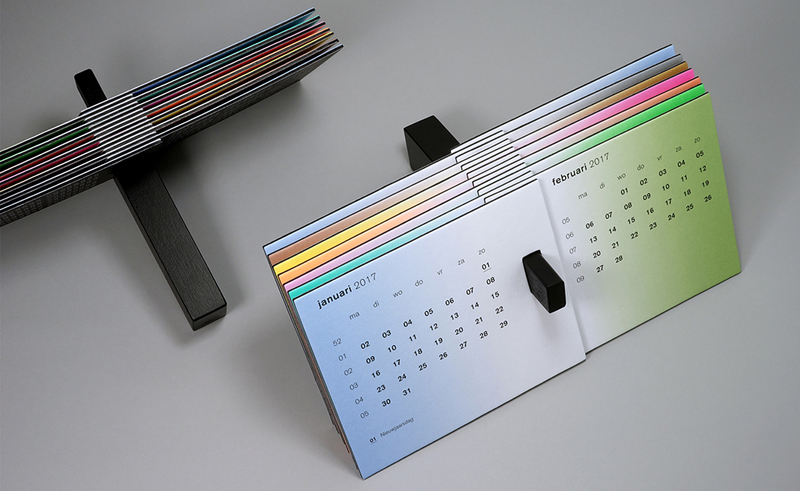 After a long tradition of exceptionally beautiful wall calendars, printing business Zwaan Printmedia asked Beukers Scholma to design a desk calendar for their business relations. 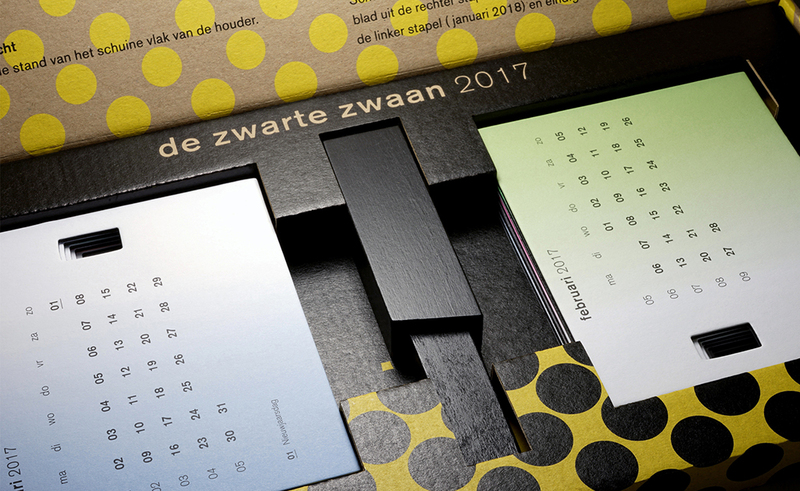 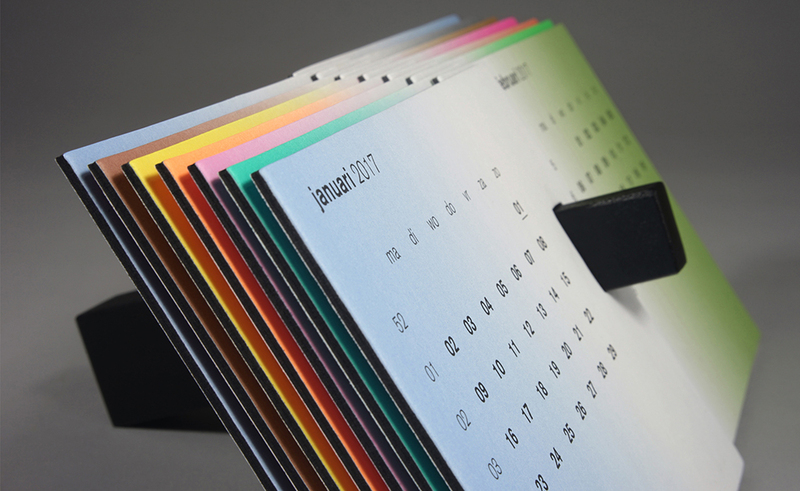 Just like the wall calendars, the product had to highlight Zwaan’s quality as a manufacturer of outstanding and complex productions. 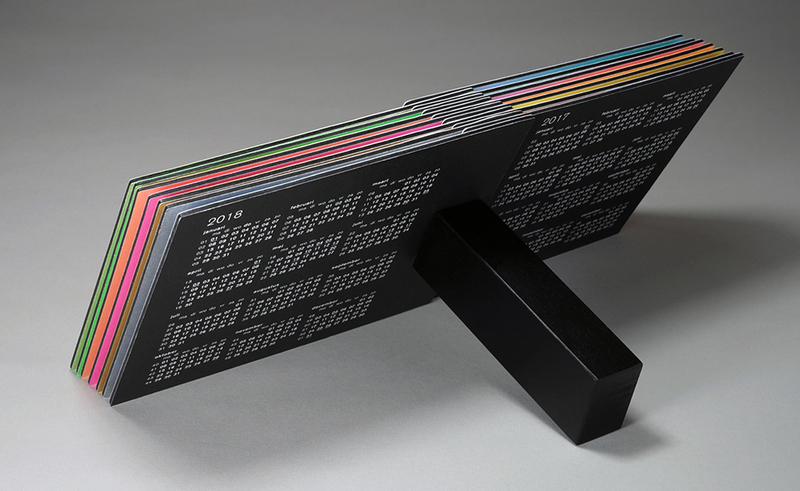 Beukers Scholma created a unique object with a functional calendarium offering an overview of two months at a time. 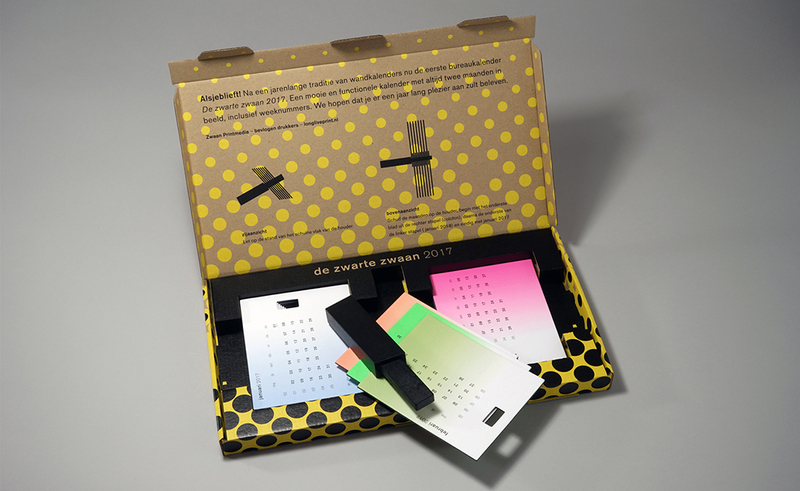 The calendar was named the De Zwarte Zwaan 2017 (The Black Swan 2017). 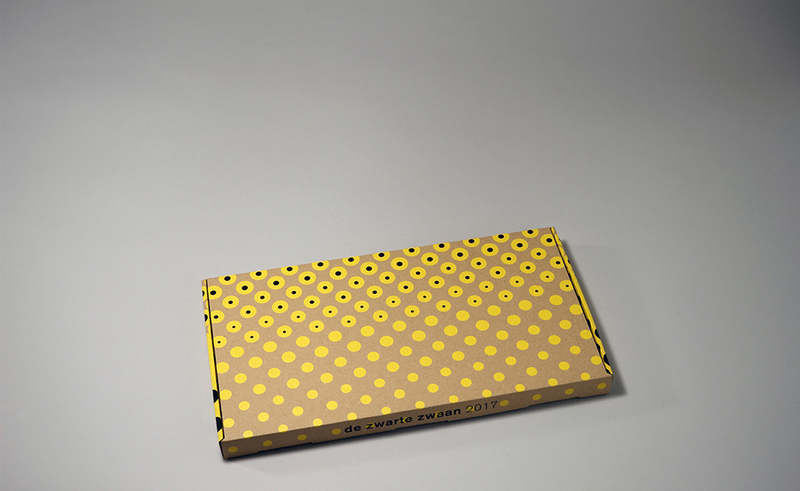 The Black Swan is packaged in a specially designed shipping box. 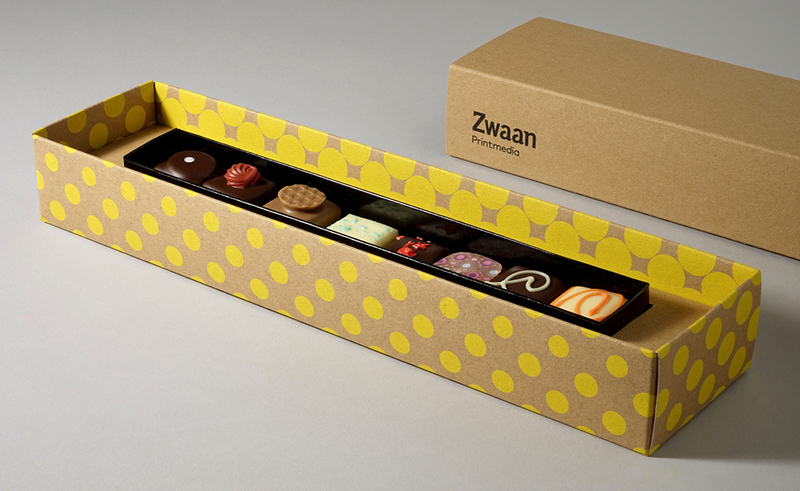 The chocolates that Zwaan Printmedia also offers as a business gift are packaged in the same style.